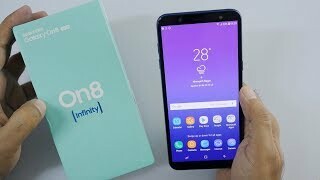 Samsung Galaxy On8 is available on selling price of Rs. 14,990 on Flipkart. If you want to buy this on EMI you can buy on Installment of Rs. 727 for 24 months. Samsung Galaxy On8 is also available on EMI without Credit Card, from Debit Card , Bajaj EMI Card and Home Credit and others.